The first minute of captivity is the hardest. Then the first hour. Then the first day. Then the first week. Then the first year. The first minute is when you freeze in shock and disbelief (I can’t believe this is really happening). The first hour is spent in anxiety about what lies ahead. The first day is when it begins to sink in that you really are in prison. The first week is occupied in trying to reconcile a mind still thinking about the outside world (family, job, bills, car, etc.) with a body in captivity. By the end of the first month your mind starts to fall closer into line with your body as you begin to accept that you are in prison. At the end of your first year in captivity, if you have lasted that long, your mind and body should have fully adapted to imprisonment. Such that you will feel as if you have always been in prison and can remain there for years ahead. Memories of life outside then begin to seem like dreams of another faraway existence. My second year in captivity has flown by much quicker than the first. Years pass like minutes in prison. But sometimes minutes pass like years, especially when you are awaiting an uncertain outcome. Whilst my first year was full of adventure, naivety and novelty, the second one has brought with it enlightenment, understanding and maturity of rapture. During the first year I analysed people and situations around me with the same clean, well-meaning heart whose bubble I used to reside in before prison. It is only now, at the end of two years imprisonment without trial in perhaps the world’s oldest ‘democracy’, that I have realised how naïve I was and why I had to come to prison to burst my bubble and to taste the reality of the world. The modern world is not a nice place and there are many evil people in it. It is said that the beauty of things is appreciated from their opposites. You do not value wealth unless you have tasted poverty. You do not savour health until you have experienced illness. You do not appreciate family and liberty until they are taken away from you. In the same way you cannot really comprehend or desire justice, security and equality until you have experienced injustice, persecution and discrimination. Just like the word ‘democratic’ is an essential adjective in the name of every undemocratic regime (e.g. Democratic Republic of Congo), the word ‘justice’ is an essential noun in the instruments of every unjust system. Criminal Justice Act, Court of Justice, Department of Justice, Lord Justice This, Mr Justice That…When society abuses and degrades humans it champions for ‘human rights.’ When society represses women it calls for women’s rights and international women’s days. When society is replete with racism and discrimination it boasts about multiculturalism and diversity. And when society oppresses and crushes people it does so in the name of justice. But I have also learnt this year why it is so dangerous to stereotype people according to preconceived suspicions. Not every tattooed skinhead is a racist brute. Not every black man is a violent criminal. Not every politician is a two-faced liar (thought most are). And not every police officer is a two-horned devil (though most are). People should be judged on their merits- if they have any. As a believer in Allah, Qadr (divine destiny) is always on your side, not against you. Allah The Exalted is not a bully. He does not derive pleasure or cheap thrills by watching His obedient servants being imprisoned, tortured, humiliated or slaughtered. There is always a good reason, a wise reason, for whatever trials befall the believers. If you want to obtain the top grade in an exam you have to answer both the easy and the difficult questions- you cannot pick and choose. Similarly, you must always be satisfied with Allah’s Qadr and His choices for you, whether they conform to your liking or not. Allah’s Choice is always better than the choice of His servant. That is iman (faith). The Prophet (peace be upon him) described the worldly life as a garbage dump. If any parent really cares for his child he will never allow his child to jump into it. When Allah imprisons His slave and deprives him of worldly comforts He is like the parent who protects his child from a garbage dump. 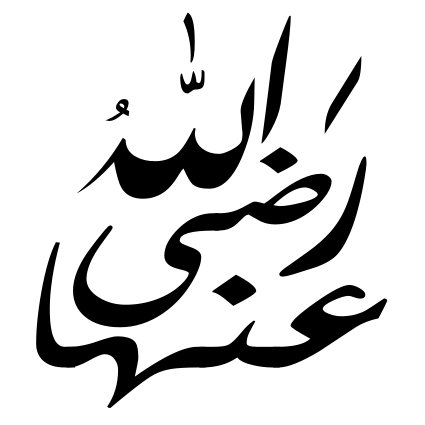 Tawakkul is one of those many Arabic terms that simply have no equivalent in the English language. Tawakkul is a combination of trust and reliance. You may trust that someone wishes for your best interests but you do not rely on them because you don’t believe that they really have the power to benefit you. Or you may rely on someone because you have no choice but you don’t really trust that they wish the best for you. Tawakkul in Allah is a state whereby you both trust that Allah only desires the best for you and you rely upon Him because you know that He really does have the power to benefit you. Tawakkul is a state of the heart that can only be reached when you are immersed into a deep-end situation requiring tawakkul. No amount of reading, learning or preparing can instil tawakkul into your heart. You must live tawakkul to develop it. Likewise with sabr (patience and constancy), yaqeen (certainty) and rida (satisfaction with Allah’s decree). Your level of tawakkul during a lengthy trial is directly proportional to your emotions at the gain or loss of any material factors that might benefit you. If you feel content when your advocates, supporters, ‘chances’ and resources are plentiful and you feel anxious when your advocates, supporters ‘chances’ and resources decrease then this is a symptom of weak tawakkul in The All-Powerful Lord. When you feel largely indifferent to these material factors then that is a sign of sound tawakkul. This is why it is necessary to pass through a lengthy period of hardship, permeated with repeated setbacks and defeats, in order to truly acquire tawakkul. As the material odds in your favour crumble away one by one you stop worrying about them and instead put your tawakkul in The Omnipotent Lord. That is when His relief arrives. Allah The All-Wise alternates the days of success. If His servants were always to have the upper hand there would be no way of distinguishing the true believers from the hypocrites. But if His servants were to always be defeated, disgraced and downtrodden then no one would enter or uphold His deen for fear of suffering a similar fate. That is why some days bring victory and others bring losses. Moreover, Allah’s Help always arrives when the odds are stacked against you. If you were to be successful whilst all the factors were in your favour then the people would say that you won because of those factors. But when you win in the absence of any favourable factors then the entire world bears witness to the Divine assistance from above the Seven Heavens and the Earth. This is one of the ways in which Allah establishes His deen on the earth: by subjecting some of His servants to extreme hardships. When people see Allah’s servants victorious despite having no visible means of success then it reaffirms and strengthens their faith in Allah. The sea split for Musa when there was no way out. The whale spat Yunus out into the land when there was no way out. And a spider spun a web for the Prophet (peace be upon him) when there was no way out. “Islam zinda hota hai har Karbala ke bad." Therefore, every crush brings with it the glad tidings of an imminent revival since victory always comes one step after defeat. Two years on, the zero hour of decision is getting closer and closer. The lawyers have given their advice: expect the worst. The supporters have given up hope. The entire world’s powers (US/UK) are united against me in their determination to obliterate me. Now only the verdict of The Almighty remains. The answer to “Where is your God now?” is coming. The answer to “Where is your God now?” is on the horizon. Because Moses always defeats Pharaoh. And David always beats Goliath.